Thanks for the MBA, Fred Wilson. Fake Grimlock is the Bonus. After being at the co-helm of a start-up (which is now an emerging business) for the last 3.5 years, I have learned a ton about what I know, what I thought I knew and what I need to learn more about. There are many online resources that I follow and digest daily, as well as some which serve as great reference points on a slew of business topics which are both leading edge and fundamental. Since I graduated in ’04, I have always had a twinge of “would an MBA be coming in handy right how” as we have enacted strategies for RevZilla.com addressing business elements which we know have been solved by every other company in their comeuppance. Nothing is more frustrating than the feeling of reinventing the wheel. These days I have more of a comfort level in the fact that over my education and early career I had “learned how to learn”. If I don’t know something, I am confident in my ability to get the answer through a number of channels; the interwebs, my colleagues, advisors, mentors etc. Being secure on that front helps me to sleep a bit better these days. One of my favorite daily resources is AVC.com, the blog of venture capitalist Fred Wilson. It’s a great commentary on the current start-up ecosystem, market trends, investment community and his “MBA Mondays” section continues to be interesting and valuable. The community leaving comments on any of his posts are the icing on the cake. My co-founders and I always joke that we are getting the “start-up MBA”. On the fly. On the web. Putting it to use, every day. We are living our own case study. It’s thanks to guys like Fred, who are sharing a career worth of knowledge and insight, daily, which continue to make this possible and allow us to learn from his wins and losses, albeit at an arms length. I hope to be able to pay it forward like that at some point. It would also be nice to bump into him and get a chance to say “Thank you” in person as well. The tech entrepreneur world is becoming big and small at the same time. It will probably happen. 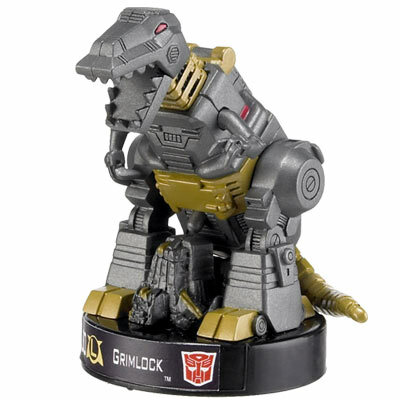 If you still are not sold, they also have Fake Grimlock. Find his comments. Thoughtful and funny. You will laugh. Unless you are unfunny.